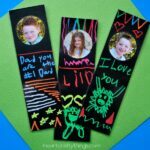 Are you looking for a fun and clever way to give Dad or Grandpa his Father’s Day gift this year? 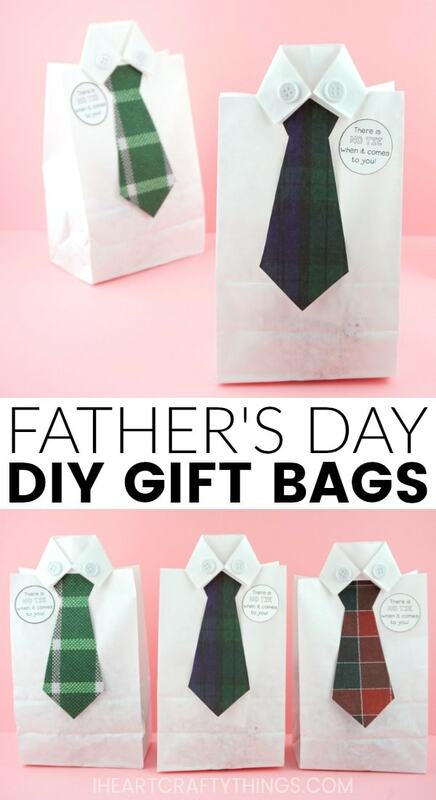 This DIY Father’s Day gift bag is the perfect solution! 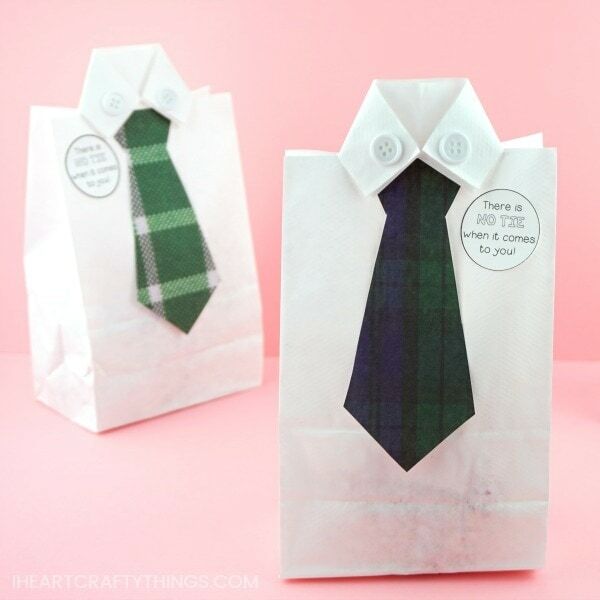 All you need is a white paper lunch bag, some scrapbook paper and white buttons and you’ll have this dress shirt Father’s Day bag whipped up in no time at all. 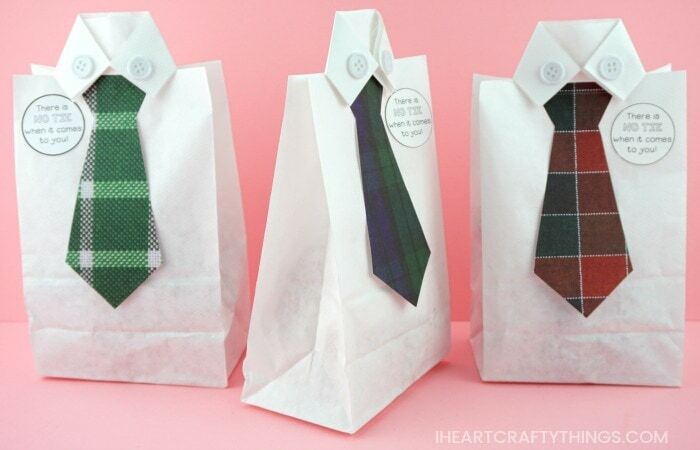 Fill the gift bag up with Dad’s favorite goodies or use it as a way to wrap up something special you made for Dad or Grandpa. 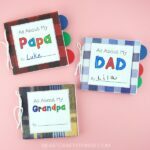 The cute gift tag we have included in our template will let dad know no one else compares to his awesomeness. *We received our adhesive buttons for free from our friends at Oriental Trading. All opinion expressed are 100% my own. 1. Begin by cutting about 1-inch off the top of your white paper lunch bag. Then cut a slit about 1 1/4-inch on both sides of the bag about 1-inch down from the top. 2. Bend the two sides down at the top of the bag to form the collar of a white shirt. 3. 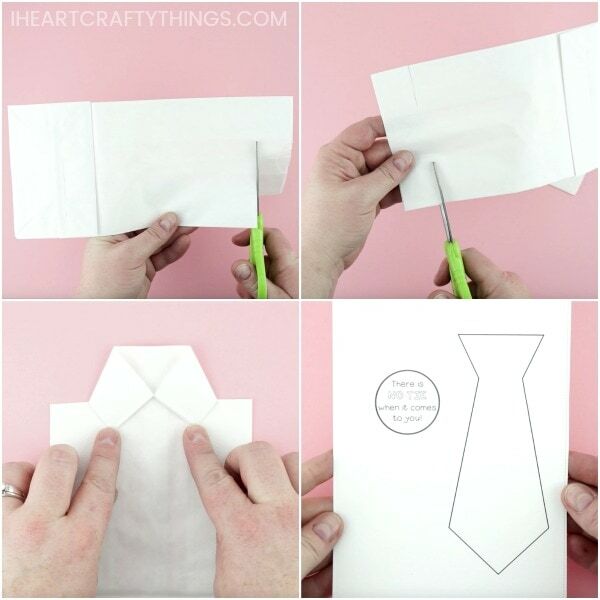 Download and print out the tie and gift tag template. Trace the tie from the template onto the back of a piece of patterned scrapbook paper. 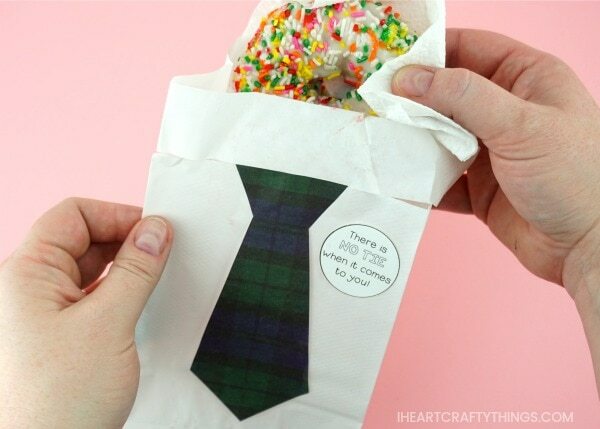 The plaid patterned paper we found fit perfectly with the Father’s Day theme. Cut out the tie from the scrapbook paper. 4. 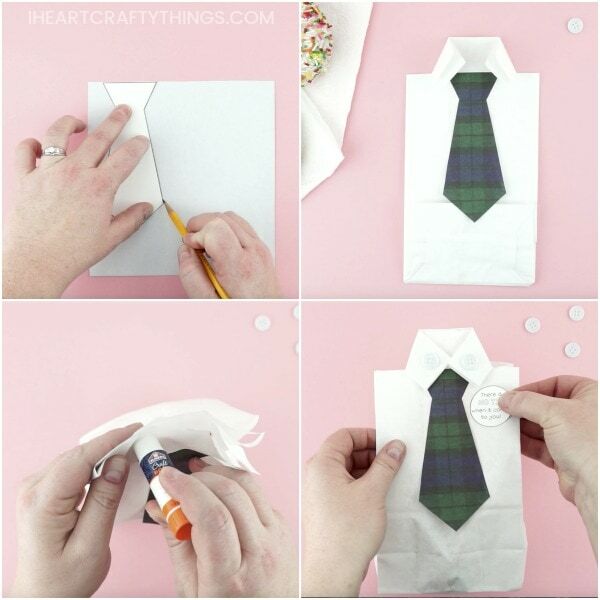 Glue the tie at the top of the paper bag under the folded collar of the shirt. 5. Open up the gift bag and add your dad’s favorite treat or a gift of some sort. We added some fun donuts for dad to enjoy for breakfast on Father’s Day. 6. Close the gift bag. Then use a glue stick to glue down the shirt collar pieces. 7. 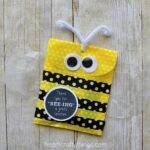 Add two adhesive buttons on the shirt collar of the gift bag. 8. 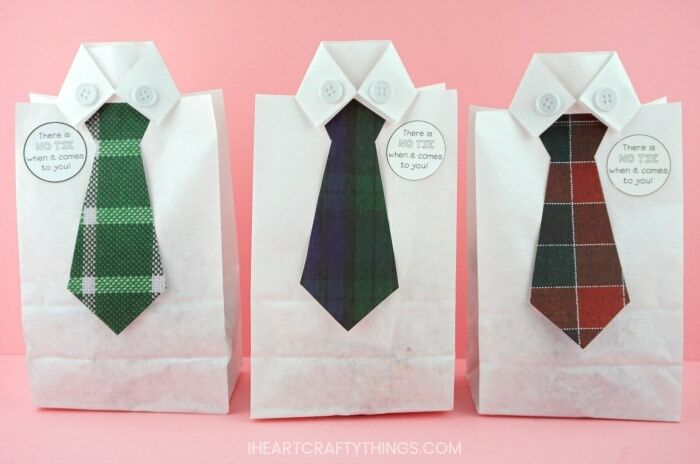 Finish your DIY Father’s Day gift bag by gluing the “There is NO TIE when it comes to you” gift tag onto the bag. Make Dad or Grandpa feel special with this chocolate bar Super Dad Father’s Day gift. Kids can fill in the gift tag on the back telling Dad what makes him super. This Owl Father’s Day card is a whoot! Dad will smile from ear to ear when he opens up the owl wings to discover whoooo loves him. Here’s a fun Father’s Day photo gift idea where kids can try out walking in Daddy’s shoes. The completed gift is one that Dad will treasure forever.